Trail Length: We did a total trip of 8.5 miles, 4.25 in and back. 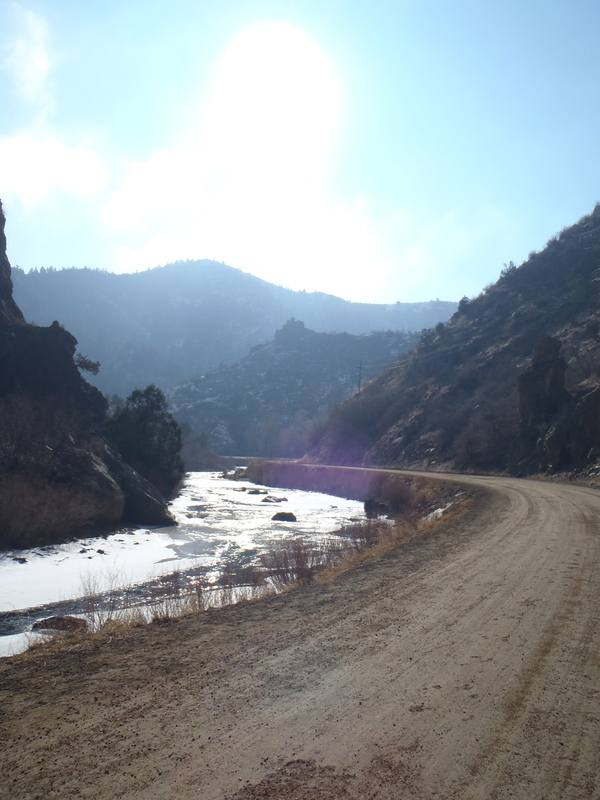 This is a trail with endless possibilities given it is part of the Colorado Trail all the way to Durango ( approx. 500 total miles). 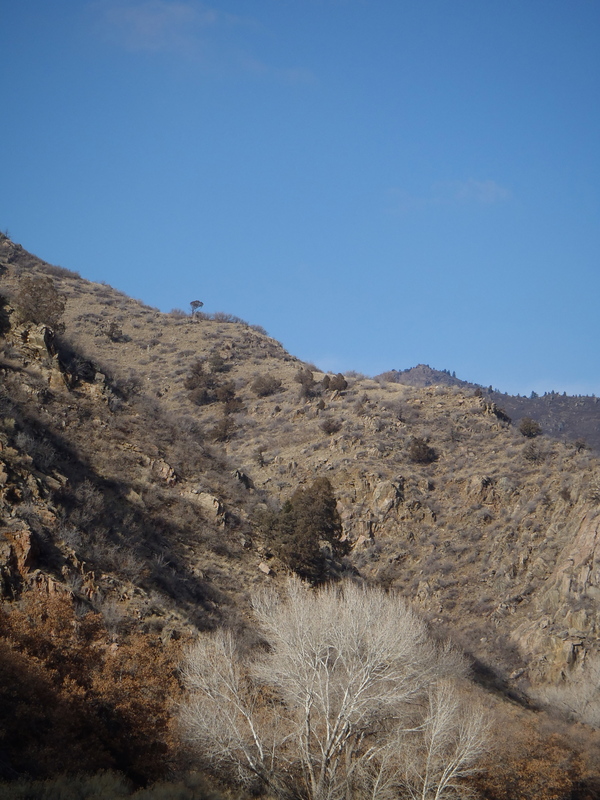 One day I would like to connect with the Carpenters Peak Trail in Roxborough State park or better yet do a multiple day hike on the Colorado trail….. Trail Uses: Hiker, Biker and horses. Bathrooms: Yes and plentiful. However this is a heavily populated trail in spring, summer and fall so it might not hurt to have a roll of toilet paper along for the journey just in case one of the many restrooms along the trail is out when you have need to use it. Pets: Dogs are NOT allowed because there are actually herds of long horned sheep in this canyon. After my crud finally let up last Sunday-ish, I was able to start working out again. It was a slow week and I only got in about half of my usual workouts or working out time. I knew my lungs and body weren’t up to too much so I decided an old standby was in order. 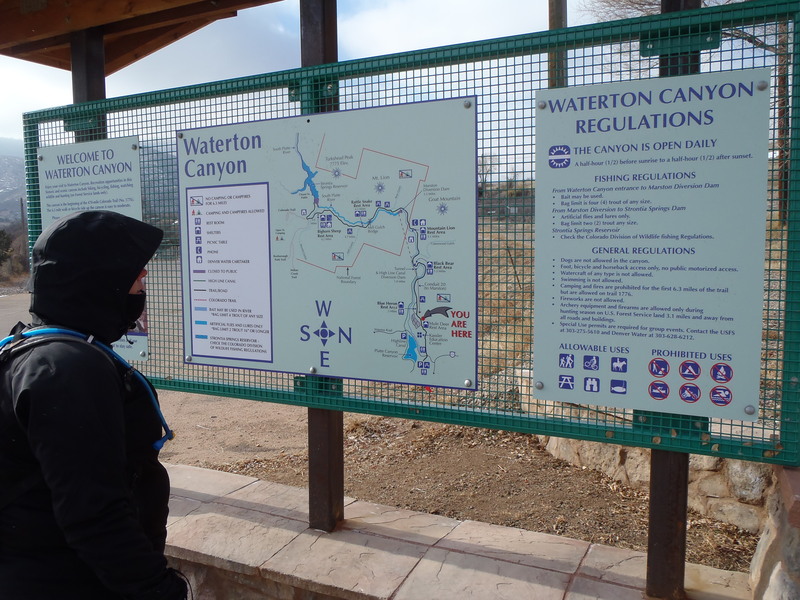 Waterton Canyon is very easy, when we started getting into shape last March this would often be our second hike in a weekend and then it would be our easy hike. There is almost no elevation gain but you can make it LLLOOOONNNGGG. Plus it is close to Denver and one of Aaron’s favorite features is that we can walk side by side ( he still likes to hold my hand occasionally, I am such a lucky girl!). The trail itself is the width of an almost 2 lane dirt road and every time I have walked, at least 2 cars have driven up it. Mostly the Denver Water treatment people as it runs along the Platte River and eventually to one of the reservoirs that is part of the Denver water system. While it is insanely crowded almost every time I have used it on a weekend day, today was a bitterly cold day which is actually unusual in the Denver area, so we were almost completely alone the whole hike. My first January/February here it actually averaged around 60 -70 degrees a day, sure it would go down to 20-ish at night but who cares, it was 70 in January during the day! Today though it started out at a bitter 1 degree and a wind chill of -13….when we started it had warmed up to 11 with a wind chill of -1 and when we finished 3 hours later it had only gone up just 2 degrees. 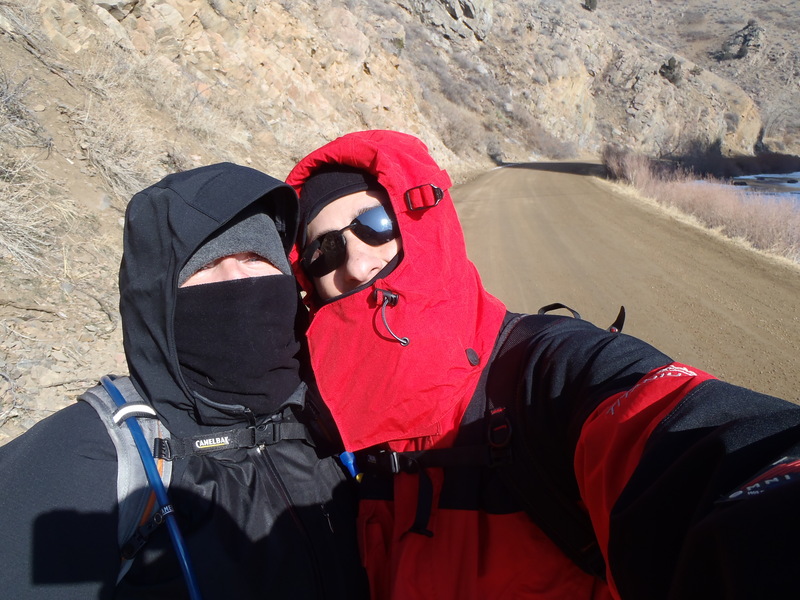 Needless to say, we bundled up the most we have to date and did not peel off one layer for the duration of the hike. The first mile is partially paved and a little industrial, which makes it Aaron’s least favorite of all the hikes we have done so far. 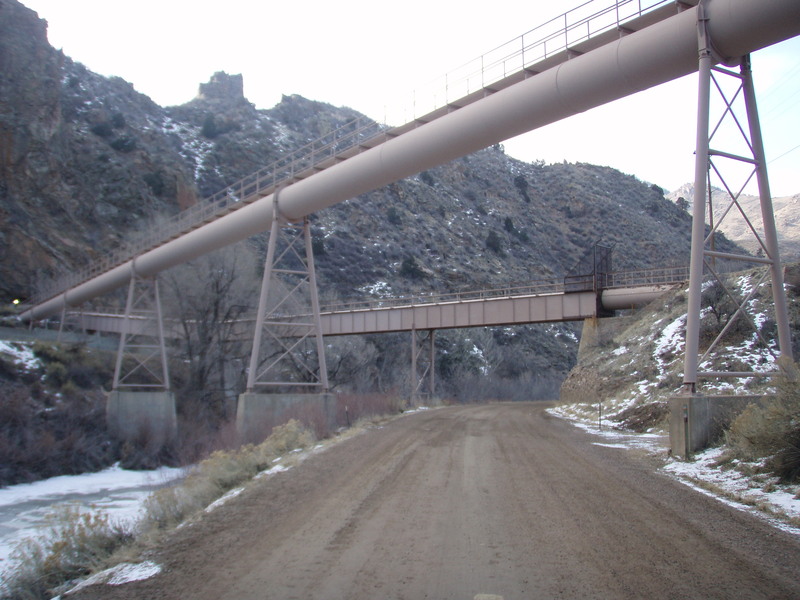 After these pipes the only industrial aspects are the various dams and river crossings you could work your way through. 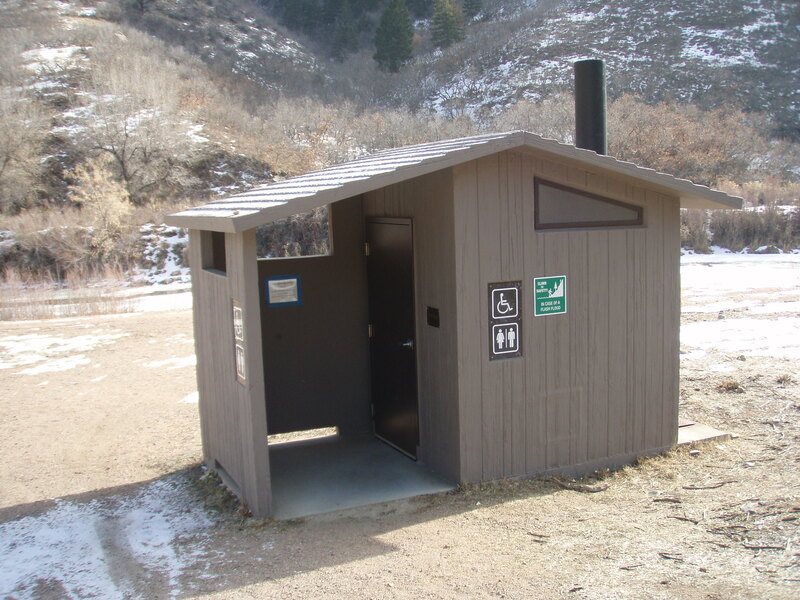 The restrooms seem to hit between 1-2 miles apart which gives you a lot of options, I did feel bad for the scantily clad runner who had to wait for me today while I pulled all my layers back up during one of my pit stops…. 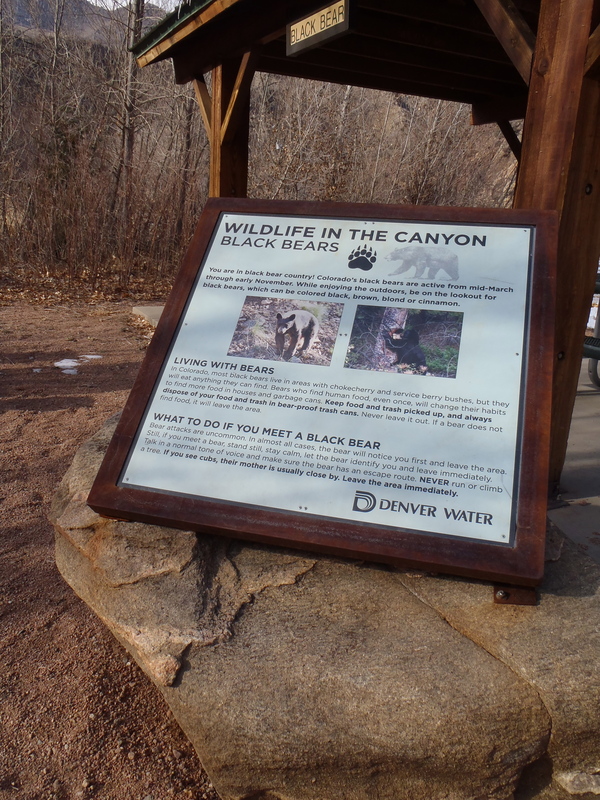 These picnic/rest areas also having learning signs to help newbies learn about the wildlife in the area, which was incredibly helpful to us in the beginning. I love it because surprisingly, there is the opportunity to see a ton of wildlife along this trail. I have walked through a huge herd of mule deer, long horned sheep and a family of beautiful red foxes before. My girlfriend said one day she even saw a black bear on one of the mountainsides. Don’t even get me started on all the varieties of birds that hang out around here. 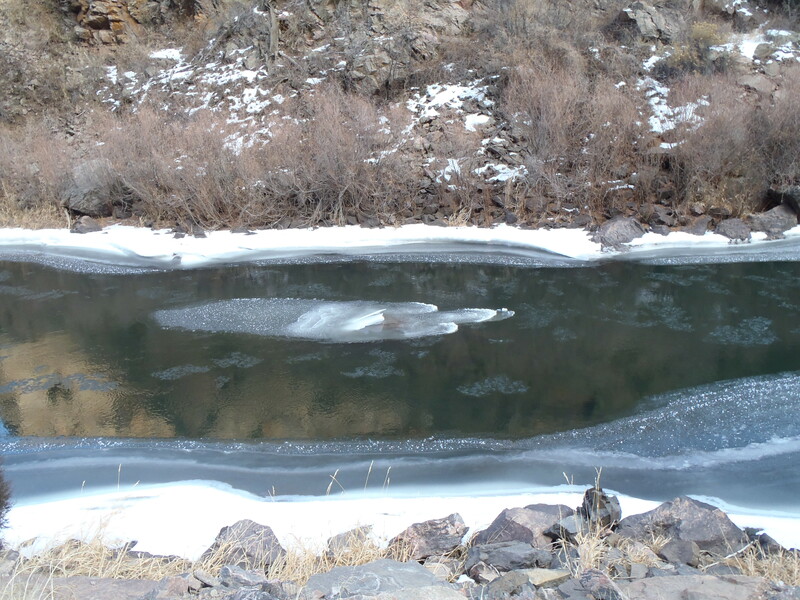 In this way it is a very special trail and one every Coloradoan should check out. Today we saw a few mule deer and one beautiful long horned sheep, a ram. 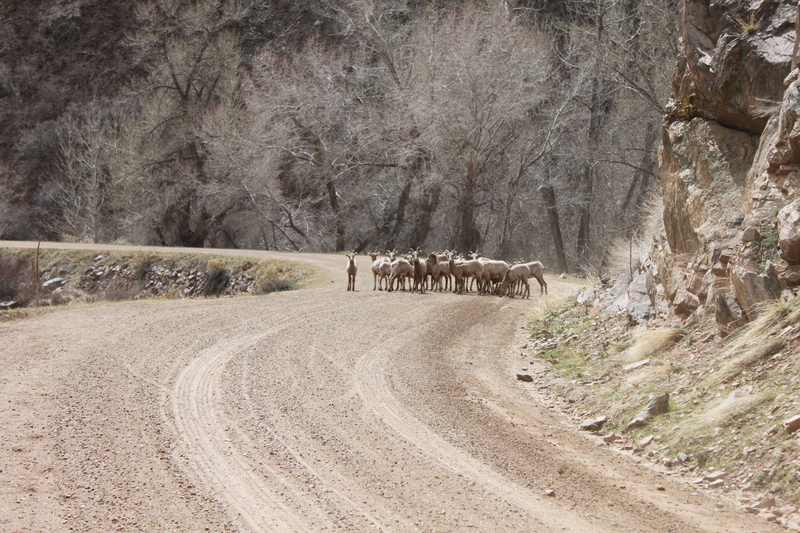 Unfortunately, we only brought our tough Olympus cameras because of the extreme cold, so our limited zoom made it impossible to capture them from today but here is a picture of a herd of long horned sheep I caught in April a few years ago. We actually walked almost to where you cross over the river, but the wind picked up and we had been in shadows for a while by this point it was getting COLD so at 4.25 miles we turned around. The trail after we turned around…. It took us longer then we expected, about 3 hours, when we have cleared 12 miles in 3.5 hours in the past on this trail. The cold was an unexpected factor to Aaron’s blood sugar, the poor guy was eating sugar every 15 minutes for more than half the hike and still we had to stop a lot to wait for it to rise. We have learned a lot over the past 10 months on how to manage it at different altitudes but the cold was a new wrinkle. He is such a trooper and kept at it until he felt better. Being a type 1 diabetic has added challenges we never thought we would have to work through, but I am so thankful it has brought us closer together and taught us so much about ourselves and each other. I don’t mention it much because it is still relatively new and painful for us but one of the side effects for us of moving to Denver was that it triggered that type 1 diabetes gene in Aaron so at 32 we had to learn a new way of life. His sister is also a type 1 diabetic so it wasn’t completely foreign, but it has been incredibly hard. He is amazing in his determination to make it work and continue to do the things he loves, but he goes through a lot every single hike and so do I…… If you know a type 1 diabetic, hug them ….hard, what they have to go through on any given day for the weirdest reasons is awful but they keep on keeping on. This week the barometric pressure was changing quickly and for no reason he almost passed out in a meeting with his coworkers because it shifted, imagine doing everything he could to stay at a good blood sugar only to have the weather make it harder for you. It is freaky to be on the other side of that, fortunately the one blessing is once his blood sugar goes extremely high or low he often has no memory of what happens, if only I could get that same blessing…..
Any-who, I digress. 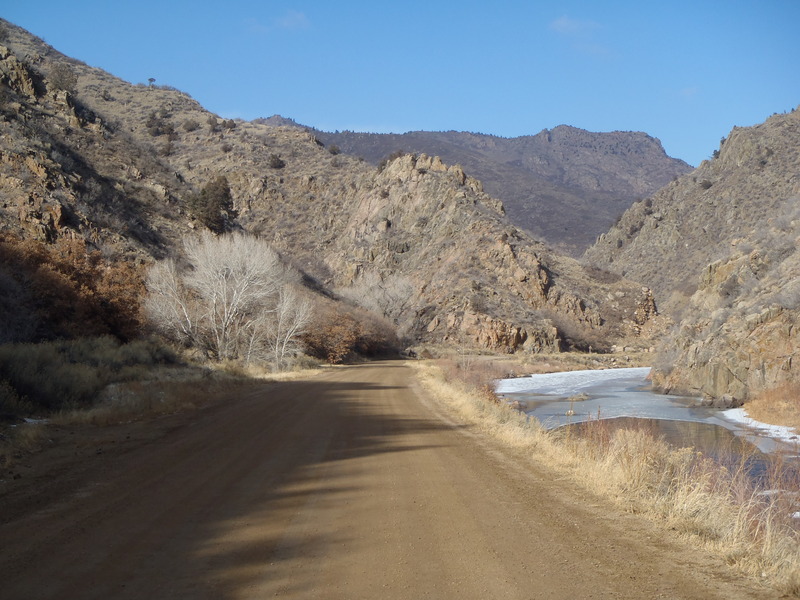 This hike is a great gateway hike to help you figure out if hiking Colorado is for you and a great way to build stamina. Like I said before, most of the time there are a zillion people out here and the huge parking lot on those days is hardly enough, so come early. Directions: From Denver, take I70 West to C470. Take C470 East to the Wadsworth Boulevard exit. Go south (right turn) off this exit and travel about 4.2 miles. Turn left onto Waterton Road and the parking lot will be about 0.2 miles on your left. It is a big open parking lot and is hard to miss. ← Weigh in Day 1/11/13 -1.4 Lbs, 45.4 lbs down 44.6 Lbs to go. You guys are such hardy hikers! Kudos to you! Thank you Heather! We feel pretty wimpy about ourselves all the time, but at the same time the hike brings a level of happiness I never expected. who knew…. Thanks!!! We usually hike every weekend but with the holidays and my illness my hiking has been limited. We are going to be really ramping up in order to get ready for our first 14er this summer. I would have never thought of the weather having an effect on blood sugar levels. Thank you for sharing you story as well as that of your husband’s. You two are a testimony to the value of perseverance! Carol it is amazing what impacts blood sugar, in Aaron’s case it was actually moving to high altitude that triggered the gene in him. He is pretty amazing! I know altitude can have a multitude of effects. I contracted food poisoning when visiting Yosemite a number of years ago. I got dehydrated in just 4 hours, and started going into shock; had to be taken to the nearest hospital and given nearly 3 liters of fluids. ER doc thought the altitude contributed to my rapid decline. A memorable vacation that’s for sure! Fortunately, it was on the last day there so I didn’t miss too much. 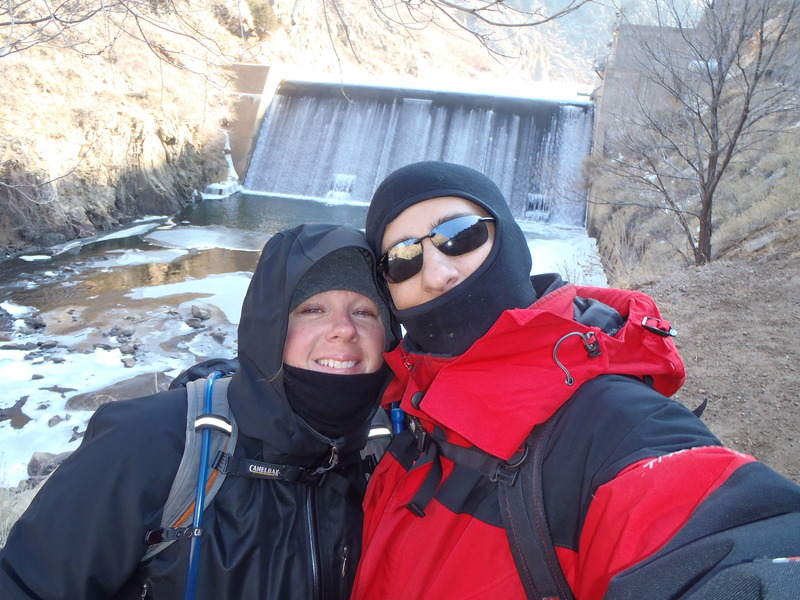 What dedication to be out hiking with these cold temperatures – good for you! 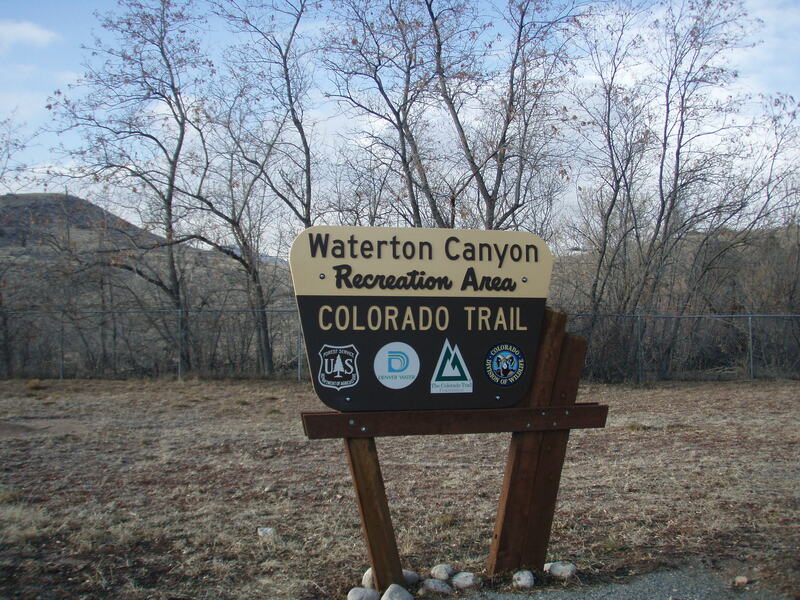 Waterton Canyon is great hike. Also a great bike ride! 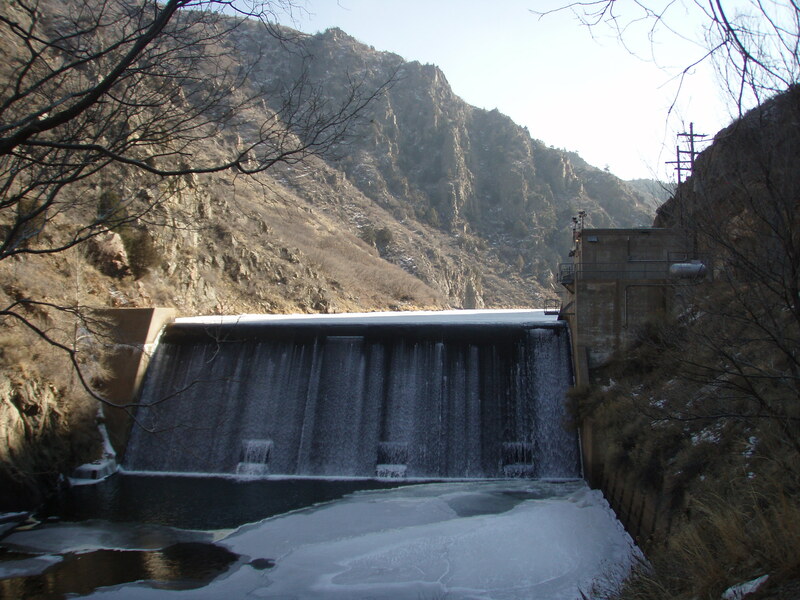 I missed going there during the couple of years it was closed for the dredging of Strontia Springs Reservoir. We were actually there that first week they opened back up last spring, we love it there! I’d say you’re both pretty amazing! I love seeing glimpses of my favorite place in the world 🙂 We’re doing a southern section of the Colorado next summer, and I can’t wait! That part will be much more exciting then this segment 1….still a great hike! Have so much fun on your wonderful hike! Great write-up! I haven’t done that hike but it sounds nice, especially with the sheep. It is nice! You should check it out sometime!